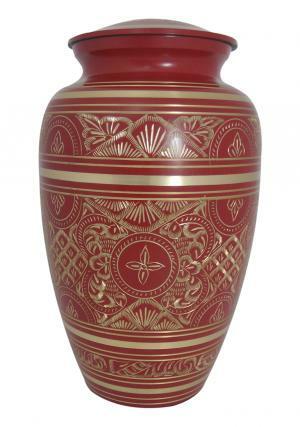 Silver Detailed Decorative Red Adult Urn is made of high quality solid brass metal with the enamel of Pale red decorated on the brass body. 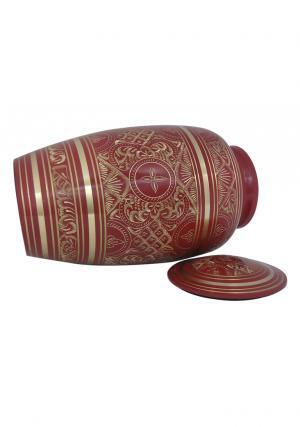 The decoration of the enamel is presented on the brass urn from skilled and experienced artisans. 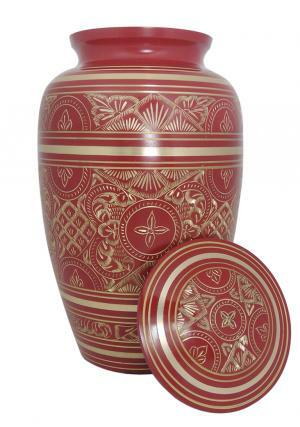 The silver engravings are beautifully crafted with circled bands and lid covered in silver encryptions. 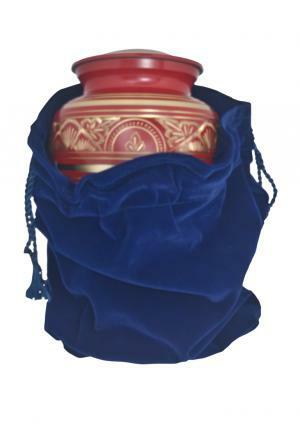 The lid of the Silver Detailed Red urn is placed with screw threading for an easy and secure closure of ashes inside. 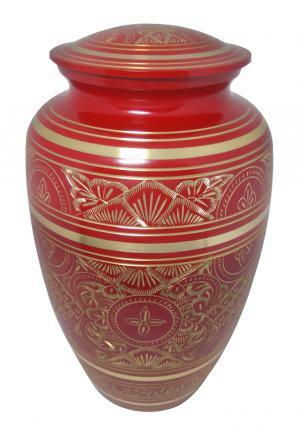 The Silver Detailed Decorative Red Memorial Adult Ashes urn is measured to weight of 2.06 kg with dimensions of 10.24 inch tall, 6.10 inch width and approximate 200 cubic inch of ashes storage space.